Welcome to the First United Methodist Church in Hightstown, New Jersey. We welcome our neighbors in Hightstown, East Windsor, Cranbury, West Windsor, Robbinsville, Hamilton, Monroe and all surrounding communities! ​Purpose: Ignite a love of God to change lives in all people through our prayers, words and actions. 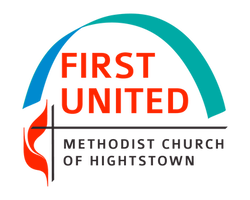 Mission: First United Methodist of Hightstown is a thriving, spirit-filled church family that shares Christ's love and changes lives by: worshiping diversely, connecting through our gifts, serving beyond our walls and growing disciples.